In the last few months you have probably come across an article on a webzine or magazine that talks about dynamic languages, on how “Ruby on Rails” promises to boost your productivity doing webapp development opposed to the “standard” JEE way, or new features for JDK7 (like closures) or the fact that the JVM is now the host of more than 200+ languages besides Java. It turns out Groovy is one such language. 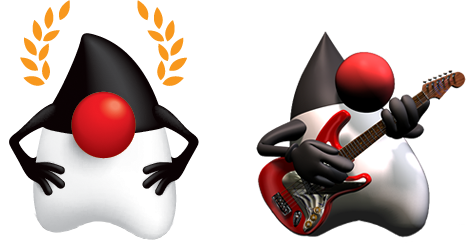 But aside from receiving its fare share of publicity like other languages such as JRuby, Jython or Scala, it also has great integration with the Java language itself, as well as features found in those previously mentioned languages. Continue reading to find out more about Groovy and what it has to offer to your developer toolbox. The default visibility of methods and fields is public. We can drop that too. Every Groovy object has at its disposure the println which can be seen as a shortcut for System.out.println. It is not required to write the return keyword. The value of the last executed sentence will be used as the return value automatically. The string "Hello !" is not a simple java.lang.String. It is, in fact, one of the sexiest features: a GString (short for Groovy String). These type of strings allow variable interpolation and arbitrary expression executing much like in Perl. Download the latest stable release, 1.1-beta-3 at the time of this writing. (2.4.7 in this reprint). If you are installing on Windows you may want to have a look at the NSIS-Installer, with translations in English, Spanish, German and French. If you opted for a manual install (or not on Windows), unzip/untar the package in a directory of your choice, like c:\groovy (on Windows) or /usr/local/groovy on Unix. Define and environment variable GROOVY_HOME that points to that directory. That’s it! Now you are ready to start running Groovy scripts and classes, there are 3 ways to achieve that. Use groovysh, which is an interactive shell where you can write Groovy code and execute it right away. Use the Groovy console, this is the option I recommend for people starting with the language. It is a graphical tool that wil let you save and load scripts, write code and execute it on a separate region so that it won’t be mixed. After executing this listing you will see the word ‘hello’ printed 3 times, which is exactly what the code says if you read it like an English sentence “3 times print ‘hello'”, right? If you were not shocked at the surprise of being able to execute a method call on a number, then you may be wondering why the code ‘println “hello”‘ is not executed right away. The answer lies in that that block of code is known as a Closure, which we will review at a later time. For now it is important that you understand that closures are blocks of code. Ranges are another useful type. They define a sequence of values that can be traversed forward or backward. They are usually used to create sublists but definitely have more uses than that. Groovy adds extra methods to lists and maps. In fact it adds more methods to existing Java classes. The set of extra methods is known as the GDK. Many of them use closures, which is the next topic we will see. You will notice that the for cycle must do an explicit method call, aptly named call on the closure. This is because for can’t take a closure as its body. It must be a block of code as in Java. Did you notice that parenthesis and curly braces are optional too? What has been exposed so far is a little taste of what Groovy has to offer as a programming language. Nevertheless I hope it has been enough to wet your appetite and entice you to give it a try.